In stock -This product will ship today if ordered within the next 6 hours and 51 minutes. 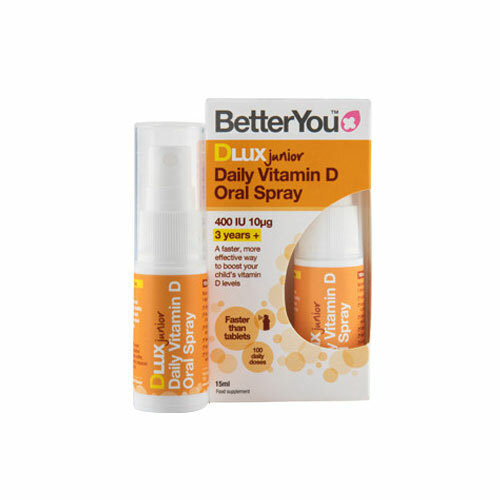 BetterYou DLux Junior Daily Vitamin D oral spray is suitable from 3 years old. DLux Junior is a fast, convenient and effective way to top up your child’s vitamin D. Natural peppermint flavour. Each spray produces a plume of tiny droplets which are quickly absorbed in your child’s mouth - No need for water or tablets. Purified water, xylitol, acacia gum, cholecalciferol (vitamin D3), sunflower lecithin, preservative: potassium sorbate, citric acid, peppermint oil. 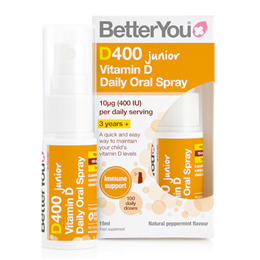 Below are reviews of BetterYou DLux Junior - Vitamin D Oral Spray - 15ml by bodykind customers. If you have tried this product we'd love to hear what you think so please leave a review. Pleased with the product. Very easy to apply. Kid love it too.